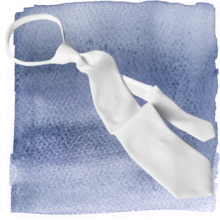 White 100% polyester zipper tie. Label loop to hold tie in place. Comes in Regular and Tall.